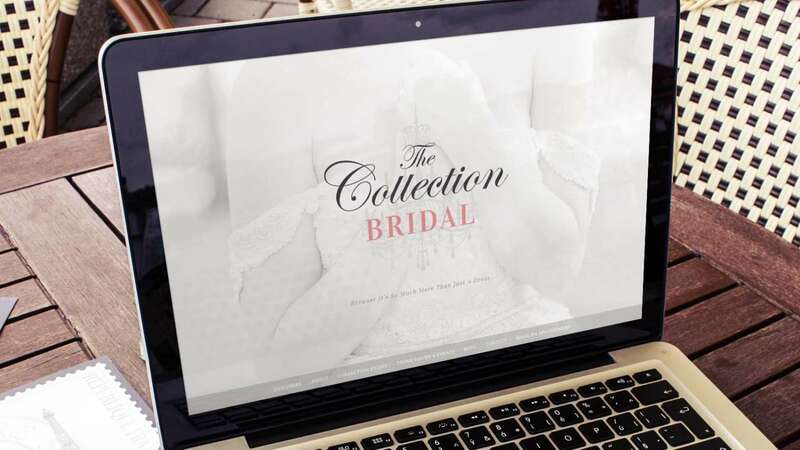 Recently, BrandCo has had the pleasure of updating the website of a local business from Winter Park, The Collection Bridal is an elegant bridal store with designer gowns, bridesmaid dresses, jewelry, headpieces, veils & shoes. This is a website that we had a blast making. Rebranding completely makes a huge difference when you’re wanting to really stand out. Millie and her team trusted us with their new logo redesign, full custom website design / development, and postcard flyer design. The Collection Bridal had a good amount of brand recognition within the area before coming to us and was hoping to update and modernize what they already had in place. We wanted to include as many opportunities to showcase what makes them special. Especially for them to highlight their Bridal customers in their special moment. 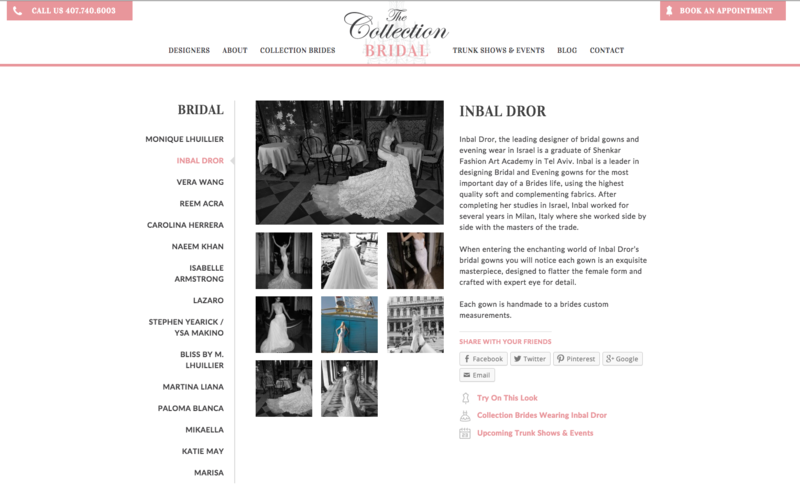 A page was added for Collection Brides. On these posts, Millie and her team are able to bring attention to all the work that their stylists put into their Brides, even down to helping them find just the right veil for their perfect day. The new website also houses a great catalog of their Bridal, Bridesmaid, and Formal designers. Not to mention, the beautiful accessories that they offer as well. Each of these galleries gives the option to share anything that you love with your friends by way of Pinterest, too! 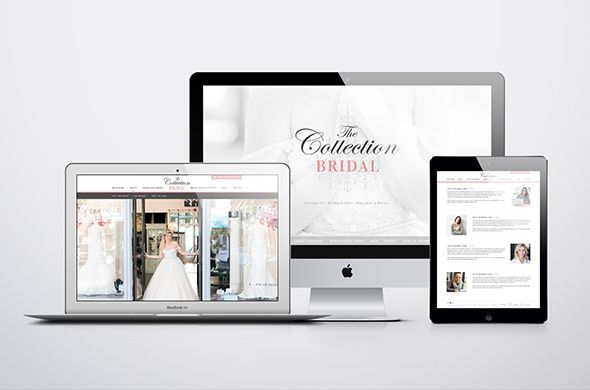 It has been a pleasure to work with the team of The Collection Bridal with their rebranding. Especially when it comes to all of the fun things that we got to put into their new website. 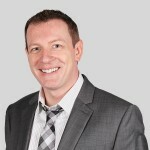 When visiting www.thecollectionbridal.com be sure to explore Designers, Collection Brides, and About the Team! This is a fabulous team that is very committed to their brand and their purpose.